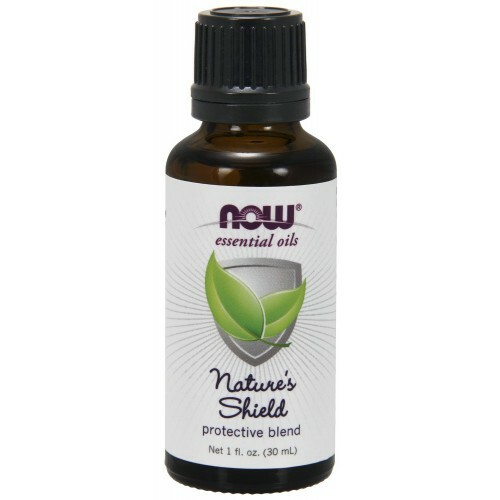 Personal Care : Nature's Shield Protective Blend Essential oil 1 oz. Home » Personal Care » Nature's Shield Protective Blend Essential oil 1 oz. Nature's Shield Protective Blend Essential oil 1 oz. Ingredients: Clove Bud Oil, Organic Lemon Oil, Cinnamon Bark Oil, Eucalyptus Oil, Organic Rosemary Oil. Aroma: Sweet, invigorating, and camphoraceous. Suggested Usage: Add to a diffuser to purify and cleanse room, or create a room mister by adding 30 drops to 1 oz water in a sray bottle. Great blend to promote a healthy environment.